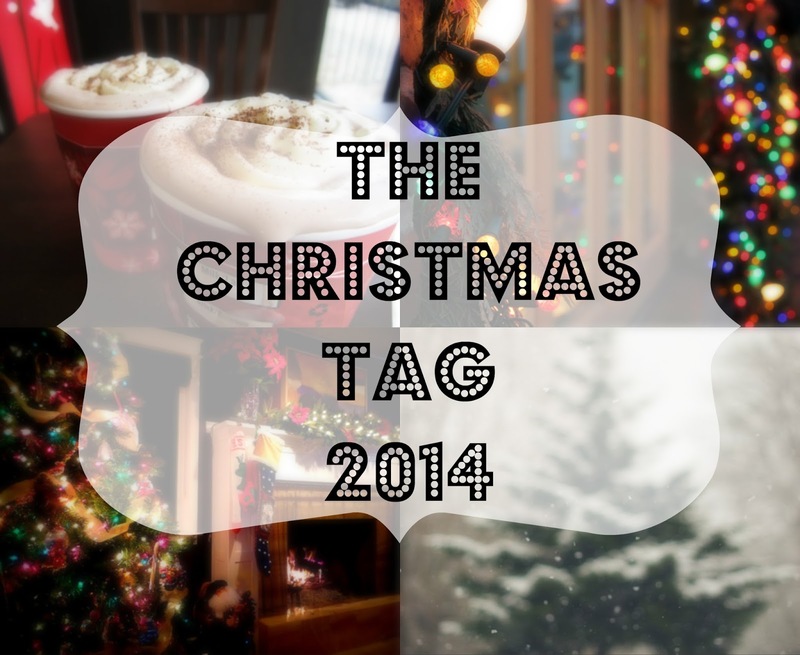 Hey guys today’s Winter Wonderblog post is the Christmas Tag 2014 edition before anyone says anything yes I have done this tag before in fact I did it last year!! However this one has different questions and I thought it would be a nice edition to this years WWB. Also I think that sometimes it’s okay to do TAG’s more than once especially seasonal ones to see how your answers differ over the years. The questions that I’m using are from the lovely Beth over at Birds Words as soon as I saw her blog post on this tag I thought I’ve defiantly got to do this one it looks like so much fun to do as I love all things Christmas. What’s your favourite Christmas movie’s? Although I’m 18 I am a big sucker for kids Christmas movies like Arthur Christmas, The Muppets Christmas Carol, The Polar Express & Frozen. However I also love all of the classic movies like Elf, The Grinch, Miracle On 34th Street and Home Alone 1 & 2. I can already tell that my nights in December are going to consist of a Christmas movie, cup of tea and lots of treats like cake & chocolate. When I was younger I was allowed to open a couple of presents on Christmas eve as my mum felt like it was appropriate considering what the next day is. However now I’m older I usually just open them on Christmas morning although I still get to open a few a couple of days after Christmas day as various family & friends usually pop round with gifts. I think one of my best memories is each year me and my two cousins who are both girls will get this massive sack of presents from my Nan & Granddad. I remember my nan would buy us all the same presents but in three different colours so that each grandchild will have a different colour. My nan still buys us the same things to this very day in different colours which I adore as it reminds us of our childhood. My other favourite Christmas memory would be when my mum surprised me when she told me that I was going to Lapland (Where Santa lives). I was about 7/8 years old I think and my nan & granddad always took us out for lunch so when my mum woke me up at 4am she said “Guess where nanny & granddad are taking us?”. So I said “huuuh” obviously still asleep. Then my mum goes “it begins with an L”. I immediately said “lunch” not even thinking what time it was. I think she just laughed because if you think about it’s kind of funny anyways she said “LAPLAND”. I don’t think I was that impressed until we actually arrived in Finland because I was still pretty tired. Anyways I had an amazing time I got to do some pretty exciting things like ride on a husky sleigh, go on a reindeer ride and play in snow all hours of the day. What’s your favourite festive food? I’m such a piggy when it comes to Christmas time as I just eat everything but I think my favourite would have to be roast potatoes especially if they’re nice and crispy with thick gravy. What’s been your favourite Christmas gift? I cannot pick one because I’ve had so many amazing gifts in the past however I can tell my favourite one after next year will be my trip to New York City over Christmas now that’s going to be a m a z i n g.
What’s your favourite Christmas scent? I really love the smell of muled wine although I really dislike the taste of it haha I also like the smell of Christmas dinner when it’s all ready laid out on the table ready to be eaten. Obviously when I was younger the standard traditions on Christmas Eve were too put out a mince pie & milk for Santa and then carrots for the reindeer’s. As well as opening a few presents and then maybe reading a Christmas book before I go to sleep with my mum. However as I’ve become older I tend to just relax watch a couple of movies, eat lots of teats and just enjoy the moment. The best part of Christmas for me is spending time with family & friends but also seeing their reactions when they open the present that I brought them. Oh and you can’t forget all of the delicious food that you get to eat with no one judging you!! So that’s day four of Asia Jade’s WWB 2014 I hope you enjoyed this post. I really loved writing it as it brought back some lovely childhood memories if you did this tag leave a comment down below with the link as I’d love to see your answers too!! "*Teen Bloggers Meet-Up | hosted by Chloe from Yours Chloe"